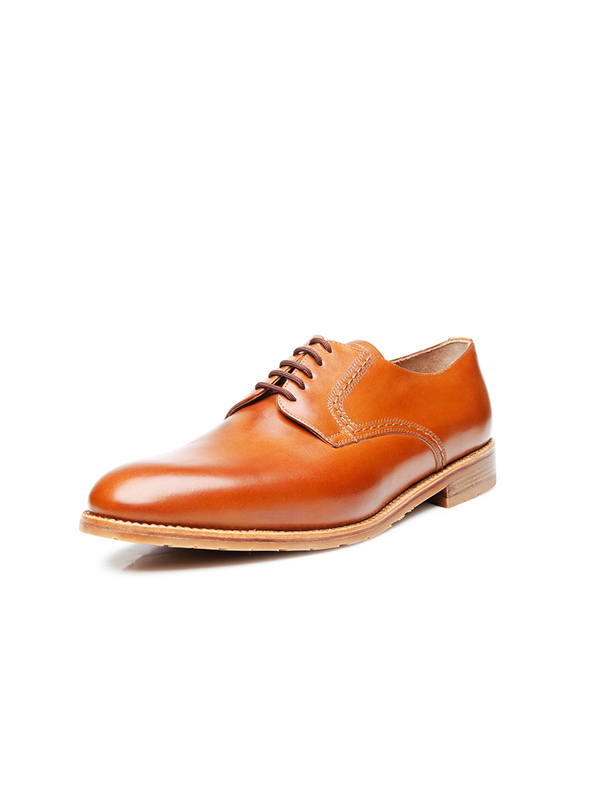 Smooth, unadorned and featuring open five-eyelet lacing: The handcrafted, sewn-welted plain Derby is a highly versatile classic. 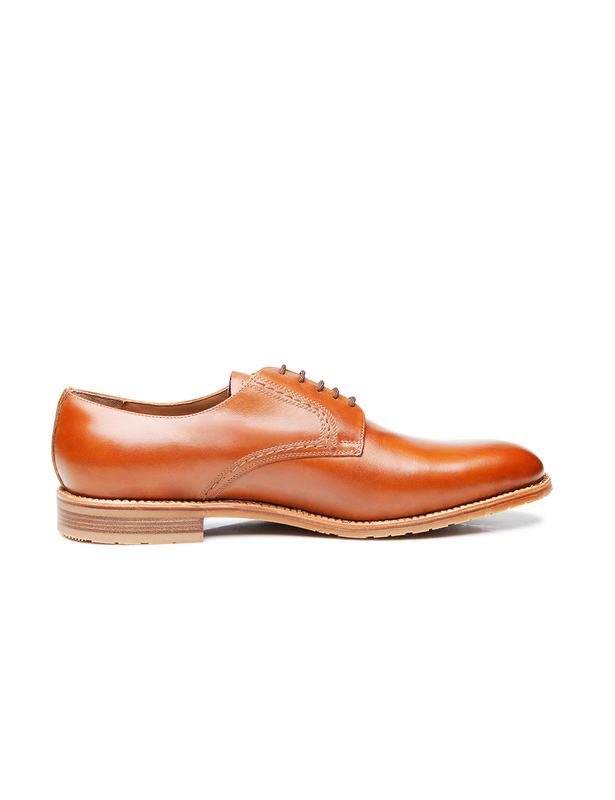 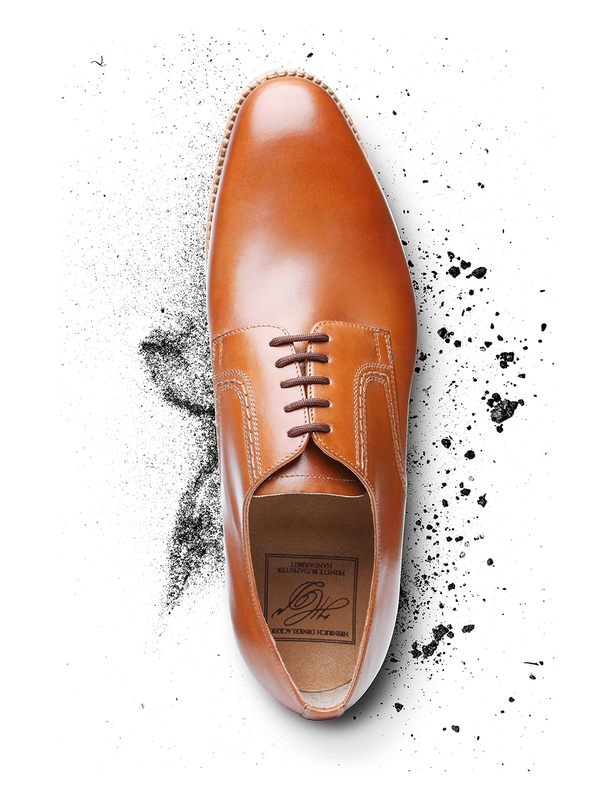 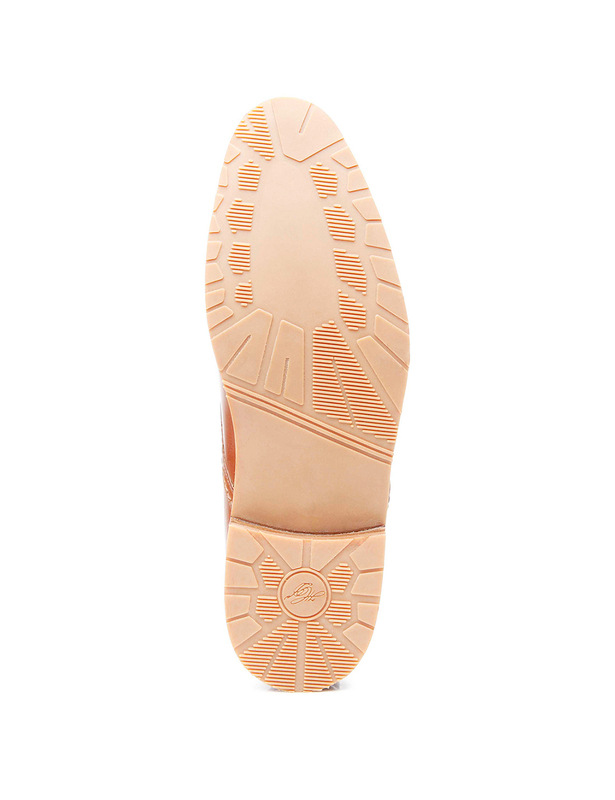 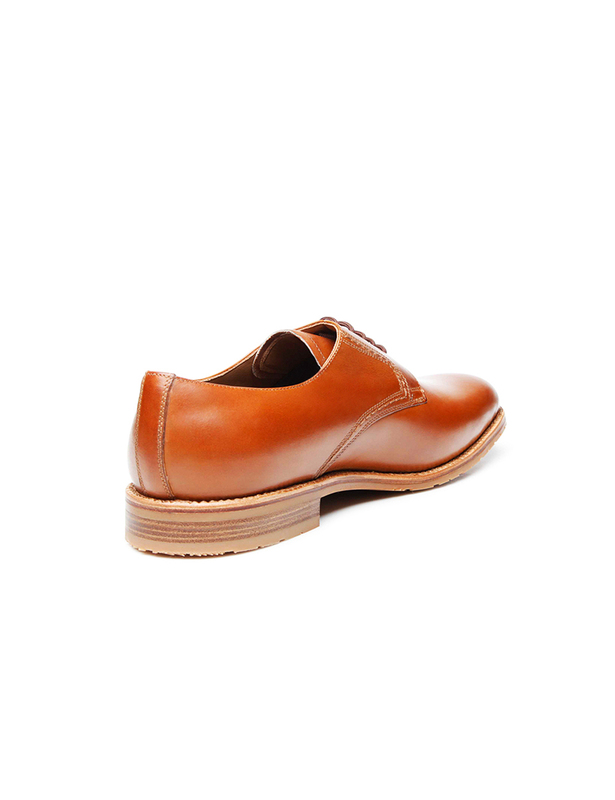 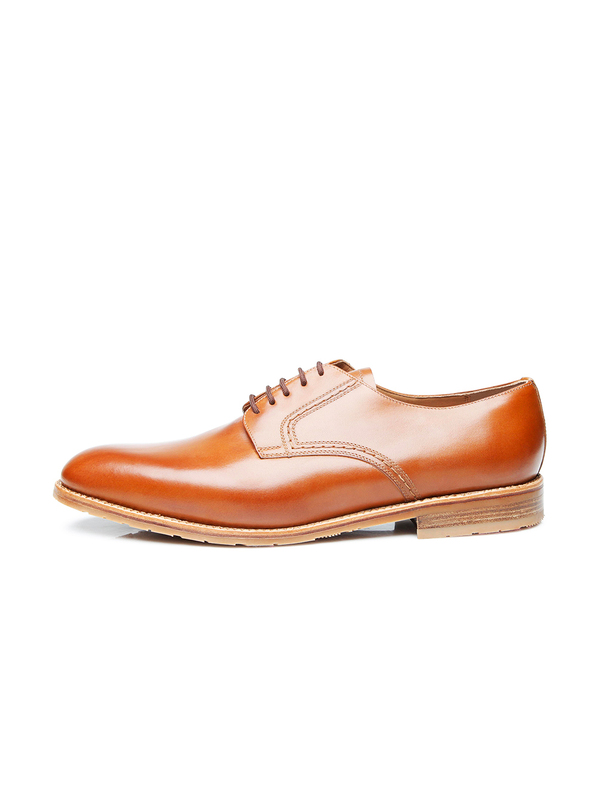 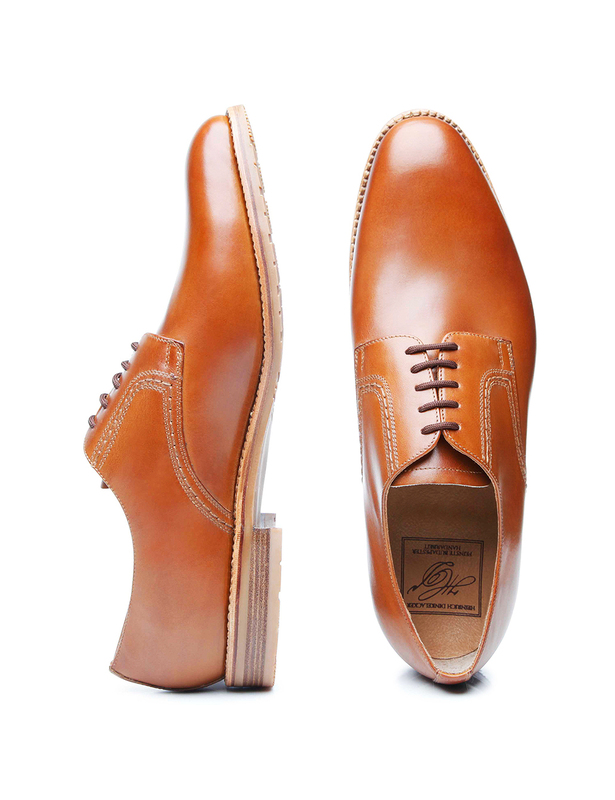 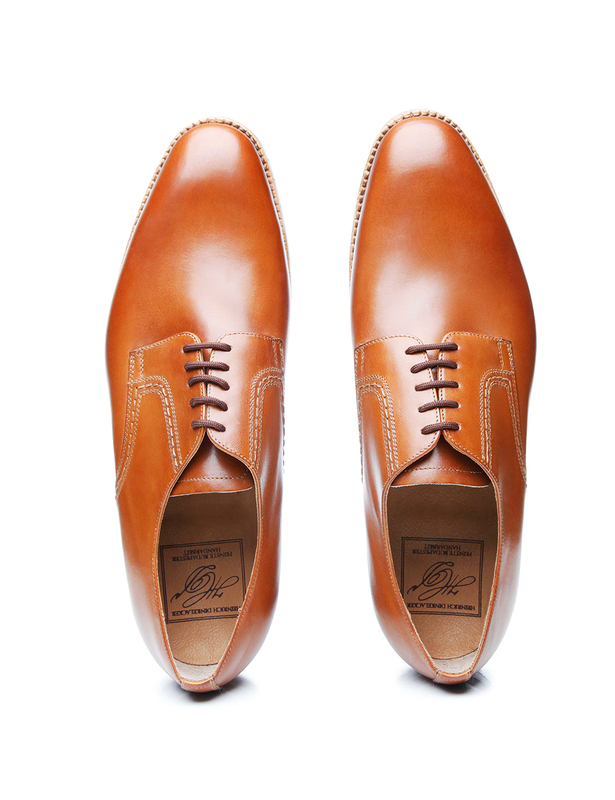 This classic men’s shoe model is extremely popular, particularly in continental Europe. 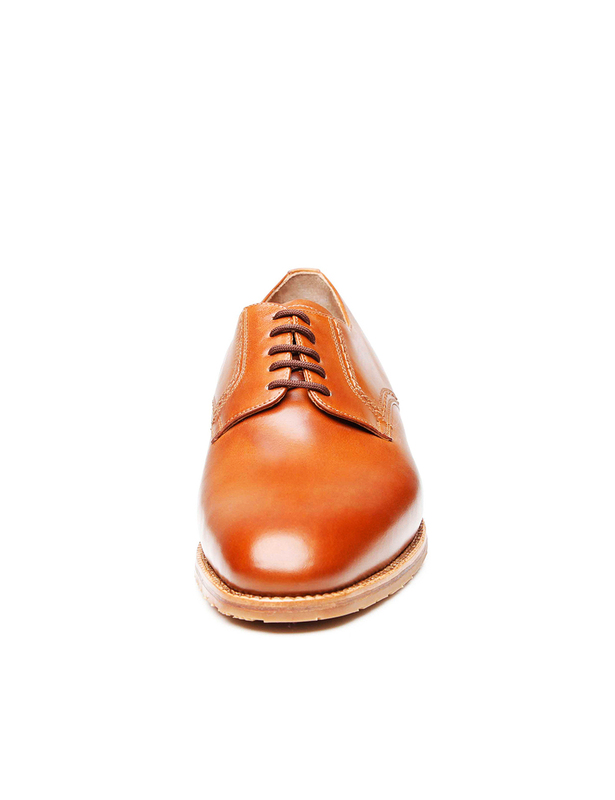 This is hardly surprising, since its timelessly elegant form makes the plain Derby the perfect choice for jeans, chino trousers or a suit. 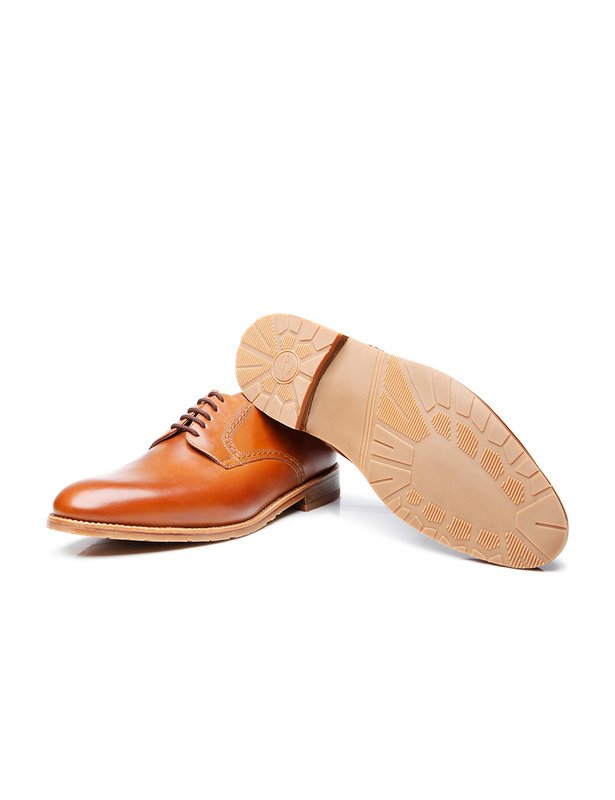 Supple, gleaming calfskin in a warm shade of tobacco, a modern last and a light-coloured double leather sole combined with a rubber lug profile all make for wonderful components of this model’s stylish, elegant appearance. 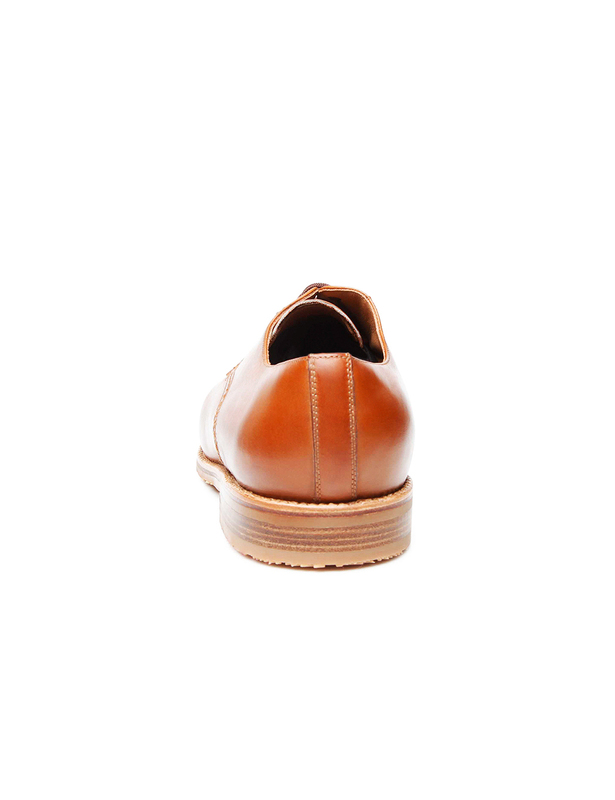 Last but not least, this plain Derby’s lovingly detailed construction is manifested in the lovely hand-stitched seam along the quarters.